Once you have connected your KuCoin account, you may notice that you cannot perform any trades through Shrimpy. The most common reason for this problem is forgetting to set "Trading authority" as enabled on your KuCoin API keys. 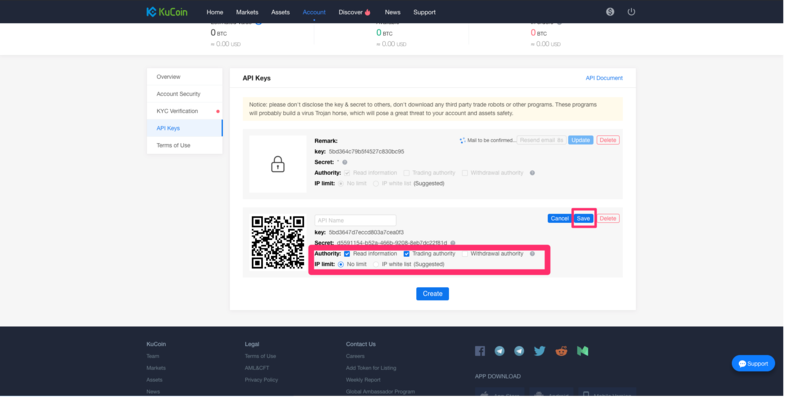 The above screenshot shows where this setting should be enabled and updated on your KuCoin API keys. Once this has been saved. You should be able to now perform rebalances and trade on the Shrimpy application. Please note that we do not require "Withdrawal authority". This should remain disabled on KuCoin.